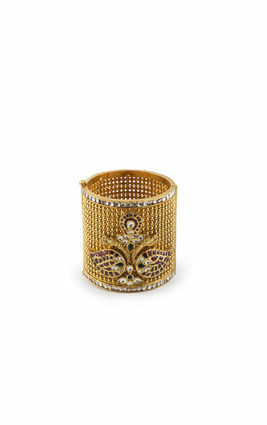 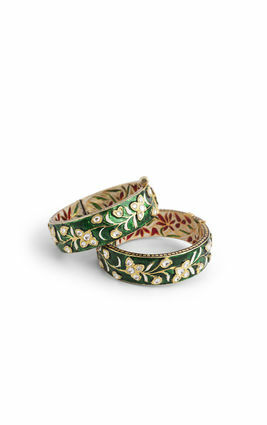 Gold polished gajra bangles with hand painted gold and black enamel borders, that surround a band of zirconia diamonds arranged like brilliant halogen bulbs. 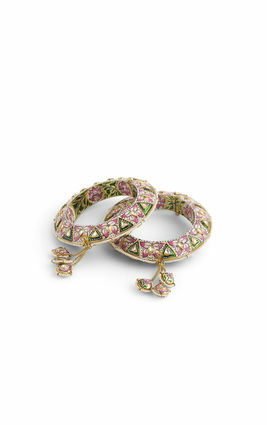 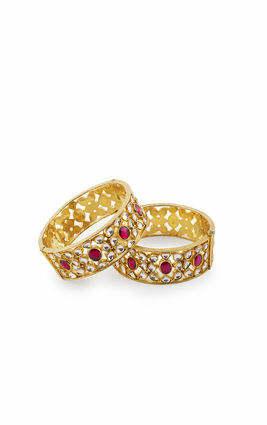 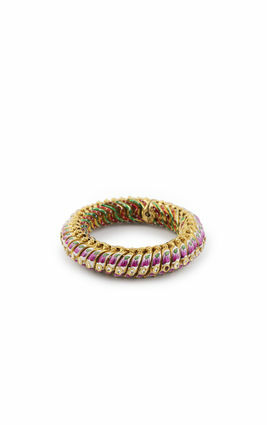 Theatrical jewellery at its best; ideal for traditional evening wear. 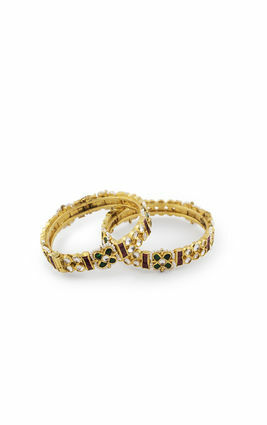 Gold polished gajra bangles with hand painted gold and black enamel borders, that surround a band of zirconia diamonds arranged like brilliant halogen bulbs. 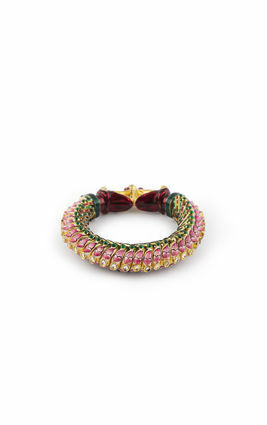 Theatrical jewellery at its best; ideal for traditional evening wear.